Have you ever had an electric bill that was higher than you were expecting? I tend to cringe every time I get the bill in the mail from my electric company. I have no idea what it is going to be, and I am paranoid that a billing error will cripple my monthly budget. I especially hate the winter because I hate to be cold. So, I do not really mind cranking up the heat in my house, but I dread paying for it. 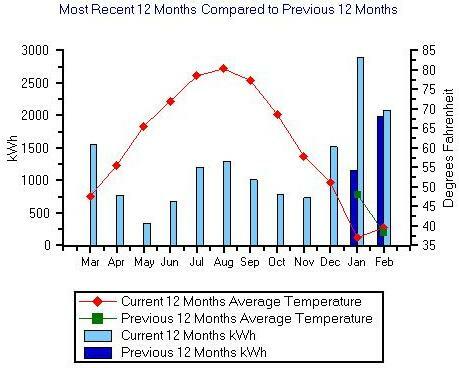 Like most people, my monthly electric bill tends to ebb and flow based on how much heat or air conditioning my wife and I use in our home. Some months it will be a low as $80, and other months it can be as high as $300. I love comparing my bill with my coworkers in the hopes that I am not as worse off as they are. So, what is a person to do?? Now that I have been a customer for over twelve months, my electric company let me sign up for an “equalizer” program. Most electric company has them, and of course they all have different nifty names for them. But, they are all the same. My company’s program is a free budget billing service that sets your monthly payments equal every month. It lets you plan your monthly payments and helps you keep your budget balanced and is designed to help you avoid unpredictable monthly electric bills. Your monthly bill is based on the average of your last twelve months. And, this is the amount that will be charged to you every month for the next year or so. The good part is that your bill will be the same every month, and you can plan better and will not have your budget busted by an outrageous bill one month. The bad news is that some months you will be paying more than your normal monthly payment, but in other months you will pay less than what you had in the past. It will average out much like dollar cost averaging does for investors. For example, in the spring and fall my wife and I do not use much electricity because we leave a lot of our windows open, do not run the air conditioner, etc. So, our bill is usually around $90 during those months. And, this month, our electric bill was about $250 which is typical for my family in the winter and summer months with the AC/Central Heat cranking. When I signed up for the bill smoothing program, our new monthly payment is going to be $130 per month. Of course you can see right away that I am going to be over paying the electric company in the spring and fall and underpaying them in the Winter and Summer. But, it will all even out throughout the life of the program. Another interesting point of the program is that the electric company will continue to read the meter every month, and your monthly bill will show exactly how much energy you used. The actual amount you owed and the difference of what you paid will be shown on your account, and you will eventually have to may any amount that you are over (usually every three months or so). The difference may be a credit or a debit amount. For my bill every three months, it will be recalculated to reflect the average of your last 12 months actual bills and your deferred balance. So, of course, it goes without saying that you must still save for any differences that are charged to your account. So, while this program may be a budget saver, if you do not budget for any differences from your monthly fee, you could be in for quite a surprise when your electric company recalculates your account. So, what else can you do? You should consider making sure that you have a fully funded emergency fund to help you ride the ebbs and flows of your monthly electric bills. That might be the real answer to your budgeting issues. I wish I could give you my own success story about my electricity bill, but electricity is a settled issue in my household. I lost big time. I was arguing for cutting back, especially for turning the lights off when nobody is in the room. But my wife says that she works for light and heat which makes both off limits for me. These two items happen to be some of the largest in our family budget. Nevertheless, this is ok by me. My wife is one of these people who need light and heat, both of which make her feel good. As long as the electricity and heating bill does not sink the boat, there is no reason why she should not give herself the “luxury” of feeling good. It is not all about dollars and cents. The overall picture is much more important to us. – Case closed! I once had an electric company that offered this same service. However, they would keep any overpayment if you used less electricity. I never signed up for this reason. I’m going to check into that program with my electric & gas company. We have the same situation with monthly bills ranging from about $100 up to $250. It’s hard to be accurate with my zero-based budget when I have no idea what that month’s bill will be.